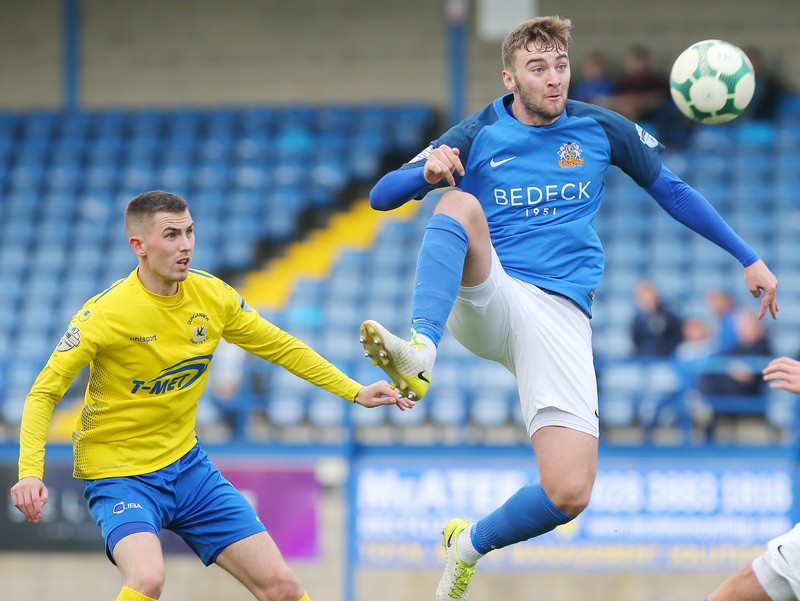 Gary Hamilton has added midfielder Aaron Harmon to his squad, the former Glentoran player signing a one-year deal last night. 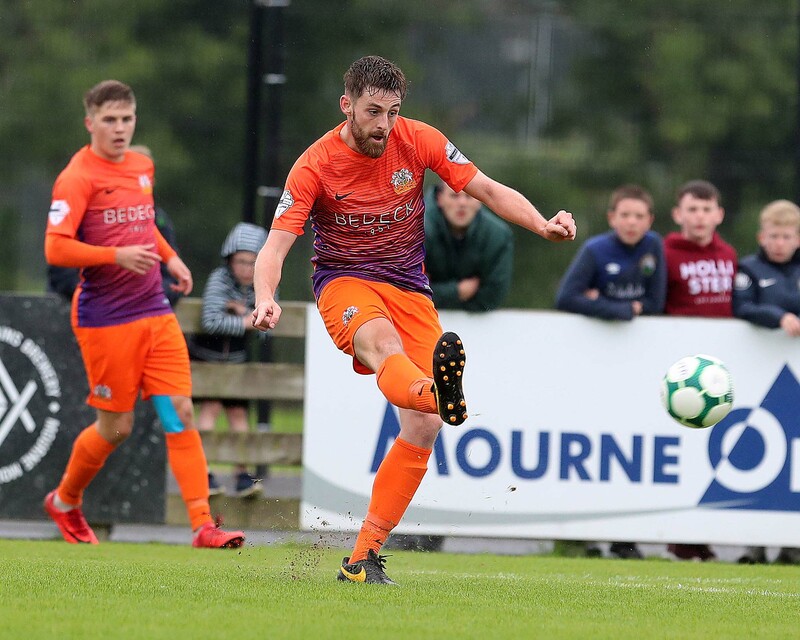 The 28 year old had been on Gary’s radar while still at Carrick Rangers but he moved to The Oval on a two year deal in May 2016. 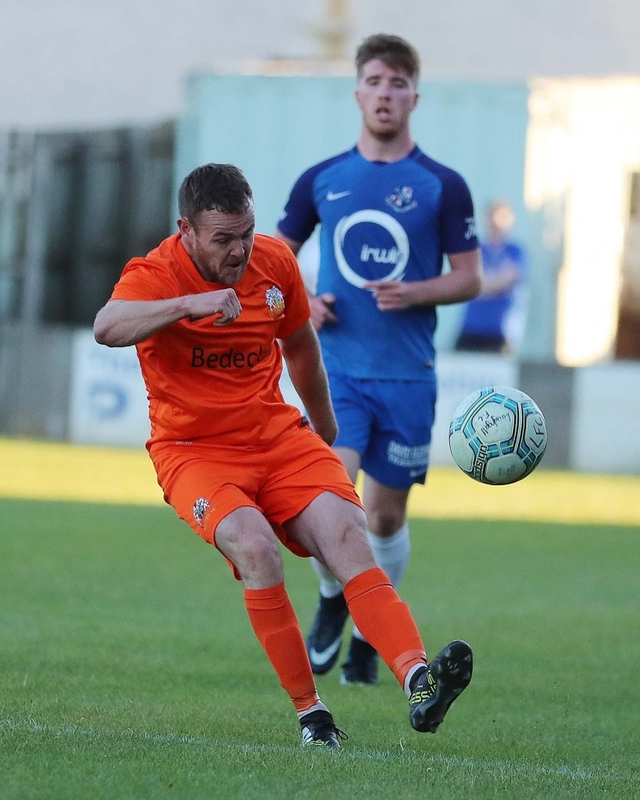 After missing much of last season with a cruciate injury his contract with the Glens was not renewed and Gary invited him to take part in Glenavon’s pre-season so that he could be assessed. 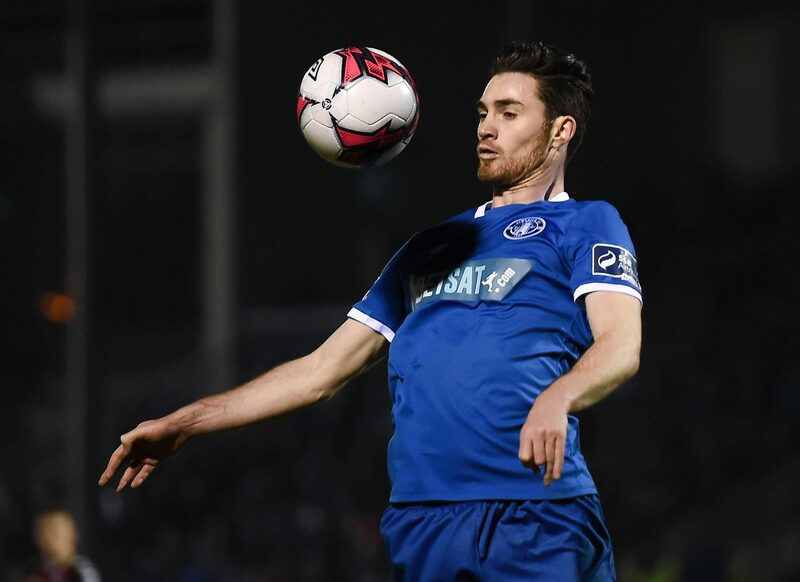 “He’s a very versatile player as we’ve seen in the pre-season games – we’ve had him at right back, right wing, centre midfield and, for somebody who hasn’t played football for nine or ten months because of his cruciate operation, he’s really impressed us. We’ll probably not see the best of Aaron for the next two or three months but, what we’ve seen so far, he’s been very, very good and his attitude fits in with what we want at the Club. The way he plays is excellent as well in terms of our philosophy in what we do,” Gary told the website this morning. “I loved his attitude from the start. I phoned him and asked him to come in to pre-season, obviously because he’s had the cruciate injury so we could assess him. 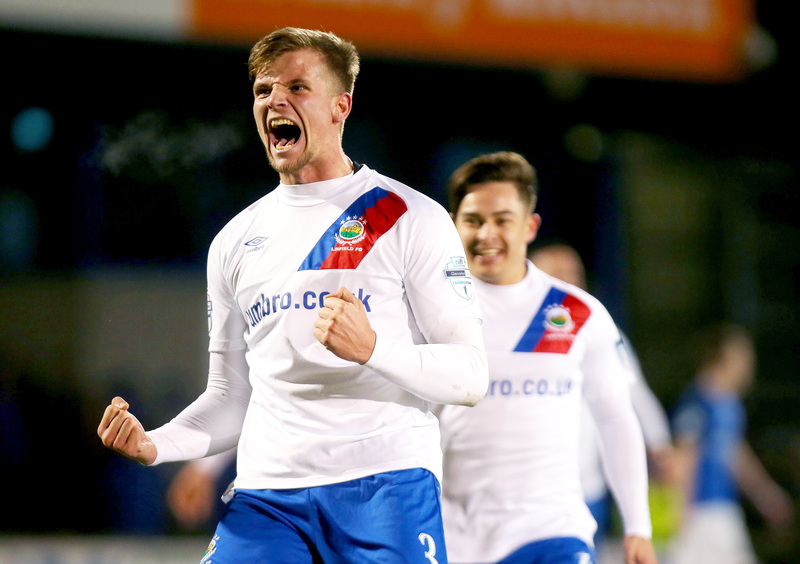 Aaron had offers on the table from other Clubs that he could have signed for straight away but he wanted to come in and give it a blast at Glenavon. That shows you he has the right mentality because he could have played it safe and taken an offer from another club that he had but he came in and wanted to prove himself. He’s not at the fitness levels where he can get to – he’s certainly not in a poor condition as we’ve got the GPS vests this year and he’s doing really well in terms of the distances he’s covering in games and training but he quite openly said to me last night when I offered him a contract that I’ll not see the best of him for another couple of months until he gets proper training and game time behind him. 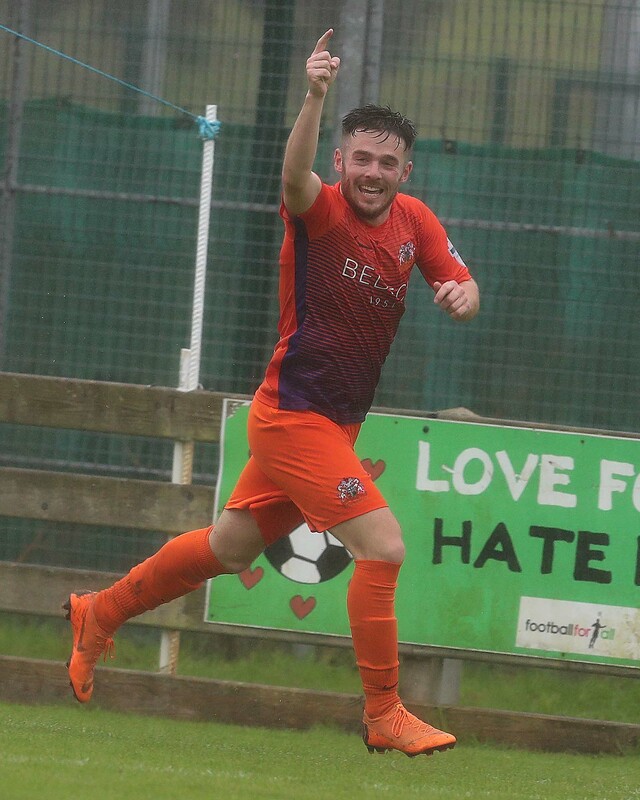 Aaron Harmon in pre-season action against Loughgall this week. Photo by Maynard Collins.